The next generation flower business is being built around a simple concept, “Get your customers what they want, when they want it.” Today, from your favorite restaurant food to groceries, it’s all available “on demand” at the push of a button. Amazon Prime and Amazon Instant service are leading the way in this trend. Floral consumers don’t want to wait any longer than they have to to buy flowers or to receive a flower delivery. 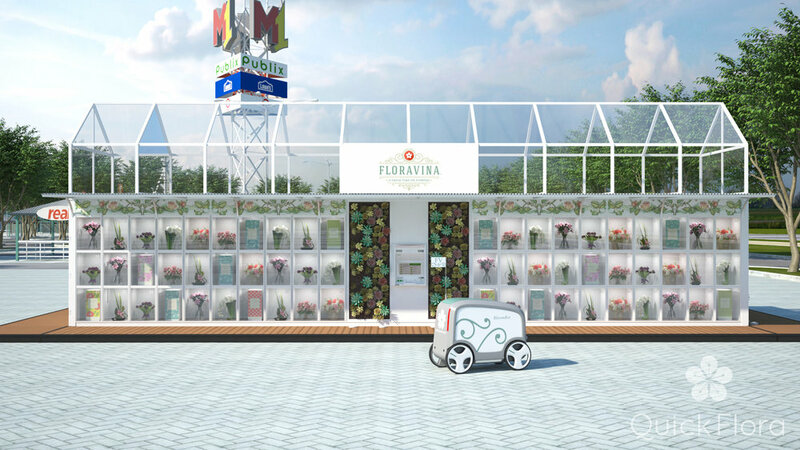 Scaling an “on-demand” flower business dealing in perishable product is challenging. Even if you have a great local brand and decades of experience, you might be missing the key technology needed to grow it to profitability. It’s infinitely more complex over 100 locations in 20 states. At QuickFlora, we’ve spent years building advanced floral technology for some of the largest flower companies in the world. Technology that works for both the company and its’ customers. 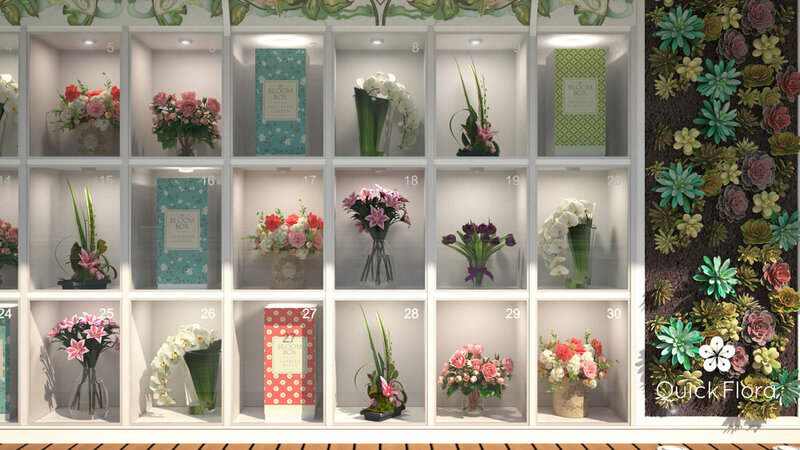 We are now giving flower companies the same access to this technology with the launch of BloomHouse. We want BloomHouse to improve the way flowers are sold from point A to point B, inspiring a new era of flower businesses along the way. With BloomHouse, any florist, flower company or mass market company can expand local market share with minimal investment. With the BloomHouse API, companies can tap into QuickFlora’s on-demand delivery software to improve an existing business – or to dream up a completely new one. Whether you need to power five deliveries a day or 10,000, BloomHouse with QuickFlora technology can handle it within a budget that works for both your customers and your bottom line. A BloomHouse is ordered and built in a 10, 20 or 40 foot size with your specific options. It is delivered to your location within 90-120 days. The BloomHouse is then stocked twice a day - once in the morning and once in the evening - depending on daily volume. Our QuickFlora ICON software manages the real-time inventory to minimize inventory, maximize sales and reduce dumpage. A QuickFlora website and/or mobile app lists all your products for sale in real-time with delivery options that integrate with Uber for rapid on-demand delivery 24/7/365. When a customer purchases an item online, the system dynamically reduces the inventory level online, prints the gift card, summons a local Uber driver to pick up the item and the delivery is completed to your customer. This all happens in real-time with no staffing present at the BloomHouse location. Staffing costs are greatly reduced in this type of model allowing you to increase your margins dramatically. Customers are thrilled that they can order flowers 24/7/365 and receive a delivery in an hour or less in many cases. Unit costs can be financed as equipment with 20% down on approved credit. Volume discounts and exclusive territories are available in the US and Canada. International licensing opportunities are also available. BloomHouse locations can be profitable with as little as 10 orders a day using standard floral industry cost assumptions. Each BloomHouse location also acts like a “billboard” to expand your local brand generating $5,000-$10,000/month in free advertising.